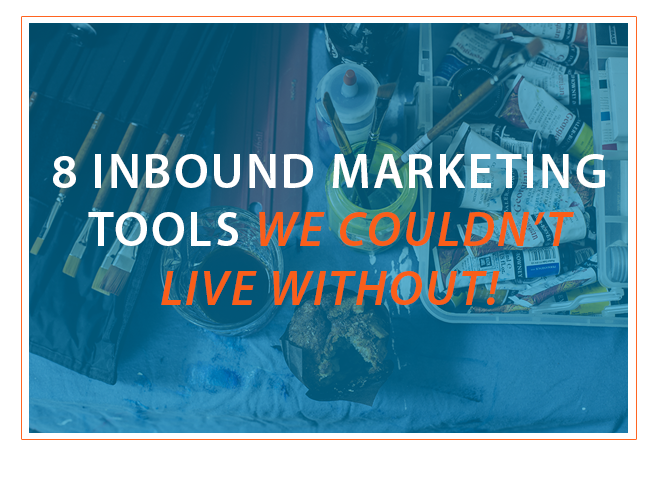 If you’re not sure what tools you should be using for your inbound marketing, here is a list of the tools we can’t live without (many of them are absolutely free). BuzzSumo tells us how well content for any topic or website is performing on the web. With a BuzzSumo account, we can get some really detailed information on which social media platforms are being used to share the content, and which popular keywords aren’t being fully tapped into. We love BuzzSumo for research because we can see exactly which content topics are popular now, which keywords we can compete for and what platforms we should be competing on. GroupHigh gets us in touch with bloggers in a specific industry or specialty. When we need content that really resonates, go to GroupHigh to find experts, verify their qualifications, and get started on the project. Without a research tool like GroupHigh, you either have to know experts yourself, get a general writer and hope they are an expert, or become an expert yourself. HubSpot is many things to many people, but one of its best uses is for research. Living the inbound methodology themselves, HubSpot provides a ton of content on how to best do inbound marketing. HubSpot is also essential for managing personas, blogs, promotion, calls to action, emails, and metrics. By managing our website in HubSpot, we can use it to research our own company as well. UberConference, a free group chat program, is currently one of our favorite online conference apps. And we’ve tried a ton of online conference apps! The website allows conference recording, typed supplemental chat, phone dial-in, and screen sharing, among other things. Our experience is that UberConference is pretty reliable and open to everyone, so it’s a great platform for conferencing with clients, too. GroupMe is our favorite group text messaging system. Some of you can relate to the pain of receiving duplicate texts in a group messaging situation, but GroupMe has kept all of that at bay for us. For small teams or a department within a company, GroupMe manages group SMS by allowing each person to send to and receive from only a single group phone number. This clears the complications inherent in members of the group having different carriers and multiple group text lists. Plus, by keeping our entire team on the GroupMe list, we don’t have to wonder whether certain people are “in the know” because we use the same list every time. Trello makes content management easy for us. When we’re managing blogs or website copy, Trello is our favorite tool to label, describe, and manage our writing projects. While you won’t actually write your complete content in Trello, it’s a perfect system for watching projects flow from an editorial or project manager position. This blog article was managed on Trello! Matthew, our content manager, added this topic into Trello under our new topic category, I picked it up and did my writing, and when it was finished we moved it into our complete category. It’s a great tool for managing content creation, and since Trello is a common favorite among writers and editors right now, with Trello you may not have to worry about bringing outsiders up to speed on your content management app. Google Drive is a really simple and popular portal for free collaborative file sharing. Aside from making it easy to remotely share files with others outside of email attachments, Google Drive lets our team collaborate in real time. We use it for creating word documents, presentations, and spreadsheets. When one person makes a change to a document or spreadsheet, it is instantly reflected for every other user. Since anyone can log into Google Drive with a Gmail or Google account, it’s easier for us to use rather than creating new logins for a different file sharing program. Dropbox is what we use to store and share files that we’re not currently working on. When we create a new client strategy document, it goes into Dropbox. When we write a new inbound marketing ebook, that goes into Dropbox. Basically, once a file is finalized it lives the rest of it’s life in Dropbox. We love it for the sharing features, but also for the security. We know everything is backed up in Dropbox, and if we lose any of our hardware we can always have access. These are, from our experience, some of the tried and true options on the market. In fact, we would definitely notice if any of these options disappeared overnight. Tools like these are a part of our custom inbound marketing program, and the system can’t run as smoothly without them. On the other hand, there are other options out there. Some other company is always looking to provide what inbound marketers need, so the role can be filled again. We can’t live without our tools, but we have faith that someone will always replace the tool we have to have. Get to know what works best for your inbound marketing company. And don’t be afraid to integrate these time-savers and game-changers. Losing them later is still a lot better than operating without them now! Creating great content is the cornerstone of successful inbound marketing. We created this free ebook to help you create great content that will help you attract more traffic through your blog. Click below to grab your free copy.